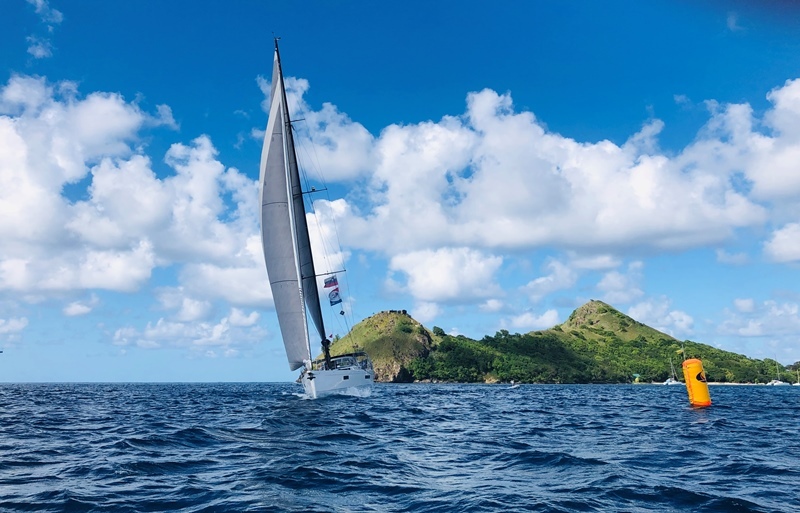 Today Saint Lucia cheerfully welcomed the first arrival of the ARC+ fleet, X-Yacht X65 Nika after a fast 2100NM passage from Mindelo, Cape Verde. Crossing the finish line at 14:01:00 local time crew on board were in great spirits having enjoyed their 10 days at sea and are now looking forward to experiencing the delights of the Caribbean. The seven Slovenian crew on board Nika have enjoyed a smooth passage since leaving, with almost NE tradewind conditions most of the way from Mindelo. As Nika sailed across the ARC+ finish line early this afternoon, the crew were congratulated by different local boats, the Maritime Police, and ARC Rally Control who then assisted them to their berth inside IGY Rodney Bay Marina. Once lying safely alongside the dock, all the crew were delighted to have arrived, ‘First time in the Caribbean for the majority of the crew, and I’m feeling pretty excited as it’s my first time crossing an ocean' said Skipper Ziga. Representatives of Events Company of St Lucia were waiting on the pontoon to welcome the ARC+ first arrival who were promptly presented with a glass of ice-cold Saint Lucian style rum punch a much appreciated fruit basket. The next boat arriving in St Lucia Axeline 2 is some 12 hours behind Nika. Further arrivals are expected throughout the week at IGY Rodney Bay Marina. Follow the fleet tracker for the latest positions and estimated finish times.